Do you know your purpose is to help others discover their dreams? Do you have a desire to help others create a life they love living? Is your deepest longing to make the world a better place by living your purpose as a speaker, teacher, and coach? Then I have good news for you. You’re in the right place! We’ve trained and certified hundreds of life coaches all over the world who are enjoying thriving life coaching businesses and transforming lives in the process. 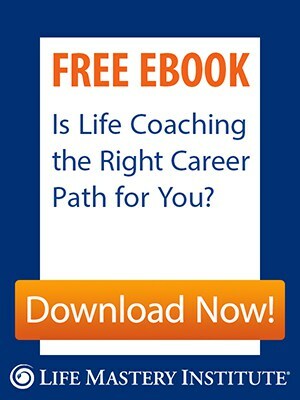 With so many options available for life coach training, you’re probably wondering, how do you choose the right one for you? We specialize in certifying heart-centered, difference makers. Our proven transformational programs developed by Life Mastery Institute founder Mary Morrissey have been the top choice of cutting-edge coaches internationally. Even more, what sets us apart from ordinary life coach training and certifications is that we offer you a proven business model to attract and enroll clients… so you can be successful from the start! Want to Become a Certified Life Coach? Founded in 2009 by world-renowned master coach Mary Morrissey, Life Mastery Institute is the world’s premier training center for transformational life coaching that blends spiritual principles with practical real-world application. Each year, Mary and her faculty of experts train, mentor and certify hundreds of people of all ages, and from all walks of life, in how to effectively coach others and build a successful, difference-making life coaching business. Whether you’re already trained as a coach or professional and you’d like to learn how to grow your business, or are just beginning on your journey to become a coach, our certification program is the most effective way take your vision to the next level. We welcome you, and invite you to take some time to explore the life coach certification resources that are here for you. Learn how to become a life coach with Life Mastery Institute.